Are you a future snooker Paralympic Champion? 23rd April 2016 at The Green Room in Sheffield. All entrants must be aged 8-18 yrs. The Stephen Harrison Academy is the leading disability snooker training provider! Stephen Harrison Academy (SHA) aims to identify young sporting talent capable of winning medals at future Paralympic Games. Do you have the desire, commitment and sporting potential to compete for Great Britain? 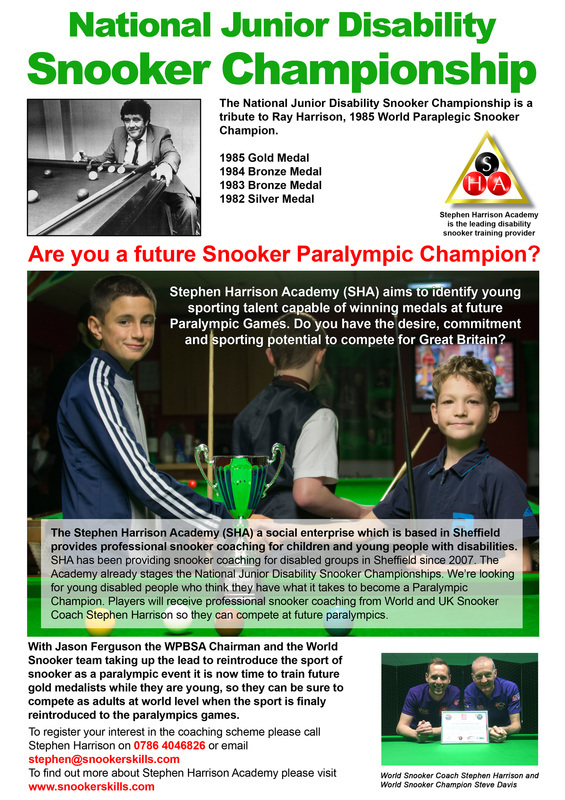 The Stephen Harrison Academy (SHA) a social enterprise which is based in Sheffield provides professional snooker coaching for children and young people with disabilities. 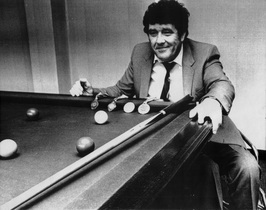 SHA has been providing snooker coaching for disabled groups in Sheffield since 2007. 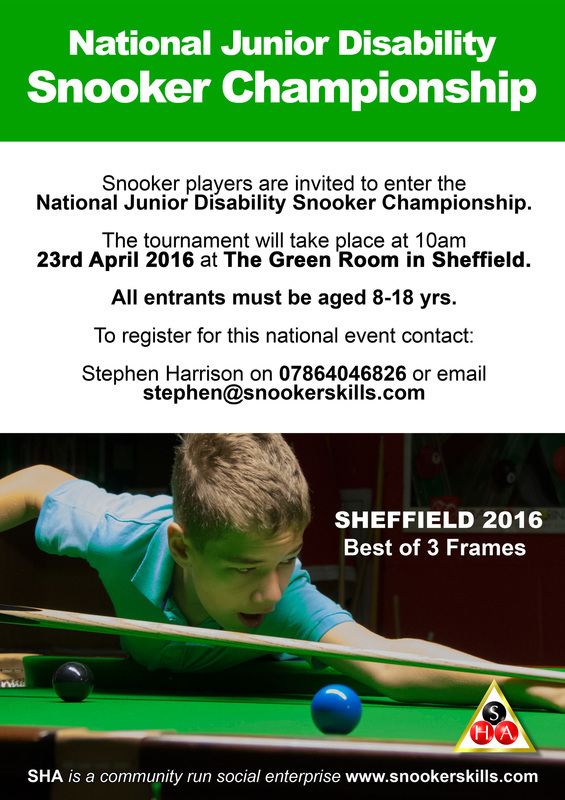 The Academy already stages the National Junior Disability Snooker Championships. We’re looking for young disabled people who think they have what it takes to become a Paralympic Champion. Players will receive professional snooker coaching from World and UK Snooker Coach Stephen Harrison so they can compete at future paralympics. so they can be sure to compete as adults at world level when the sport is finaly reintroduced to the paralympics.